Provide yellow paint, paint brushes, paper plates, and cut outs or stickers of food items found in omelets. Encourage the children to paint the paper plates yellow. 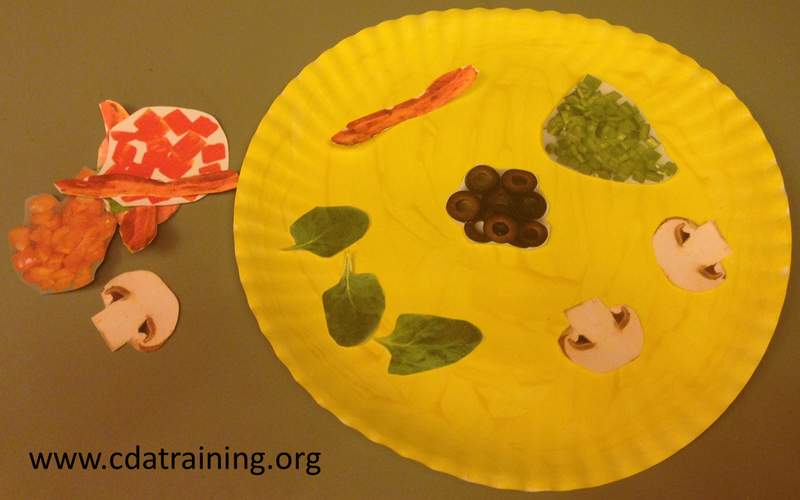 Once the paper plates have dried, then have the children add their favorite food ingredients to their paper plate omelets.